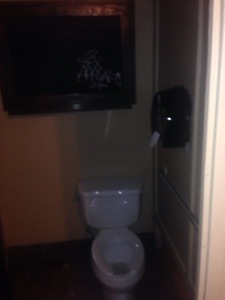 December | 2013 | Shits and Giggles: A Seattle bathroom tour! Nitelite Lounge: Classic Old and Dirty! 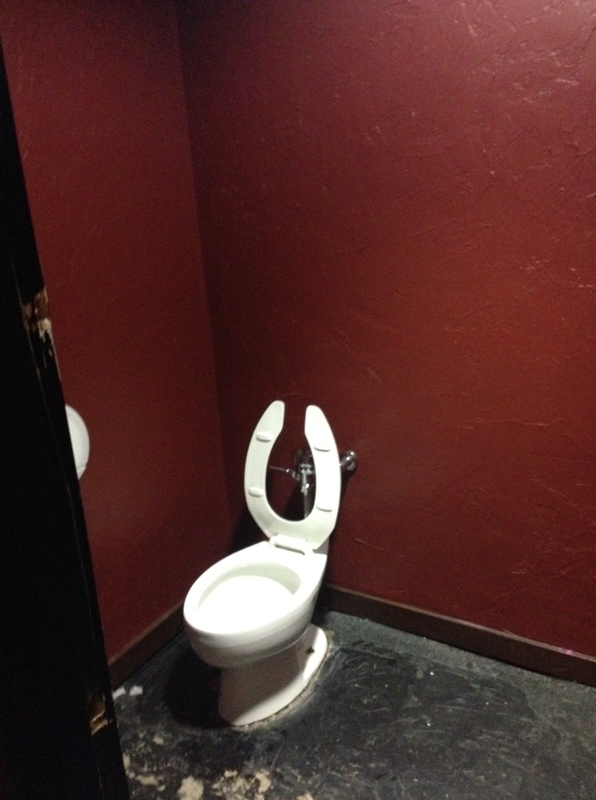 They have troughs! Nitelite Lounge: Classic Old and Dirty! There are no places in Seattle that are known to have a stiffer beverage than the Nitelite. This dive bar has been pouring heavy for ages, and doing it with the classic bad attitude it’s had for ages. The Nitelite makes missing the openers for your show at the Moore worth it! Slam a quick drink or two, and you are all set! 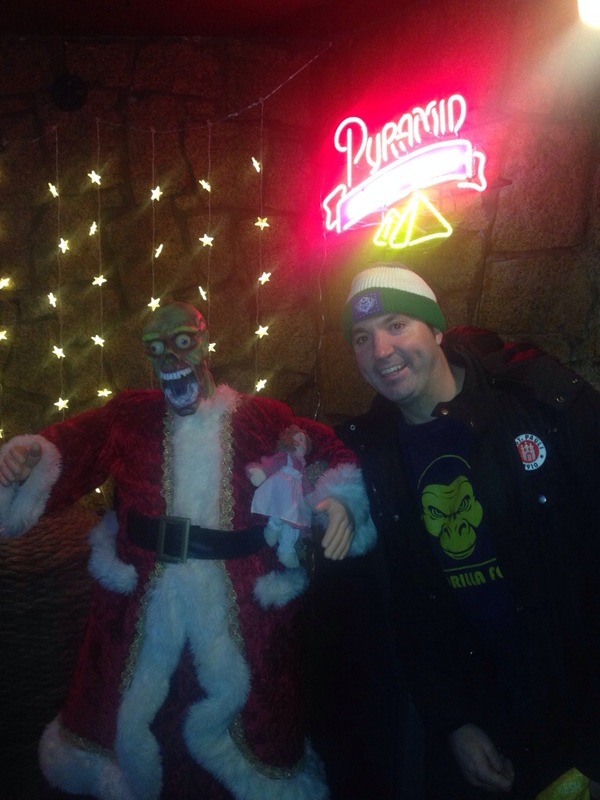 Great to see they decorate Eddie from Iron Maiden for the holidays! The bartenders here have the attitude you’d want in such a lovely place! They will also remind you (maybe in a not so friendly way) that it is cash only! 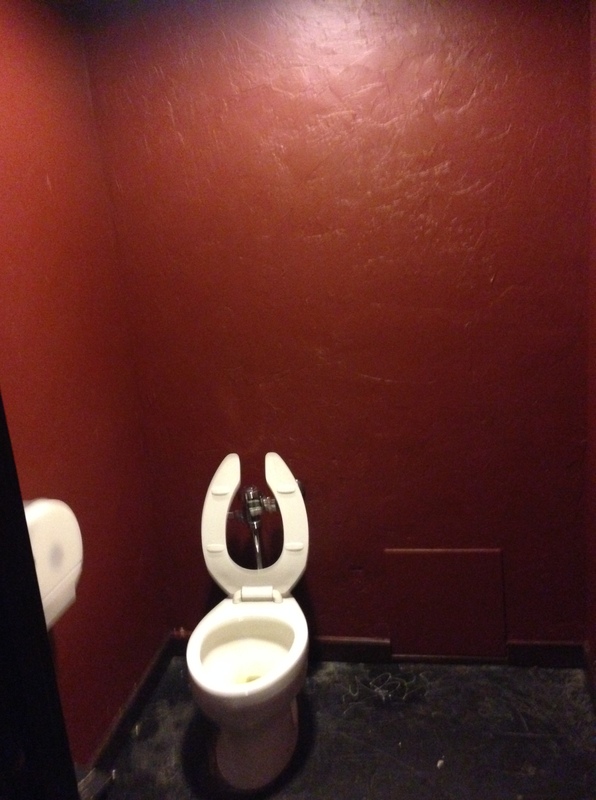 The bathrooms at Nitelite hold that classic dive-tastic feeling as well! 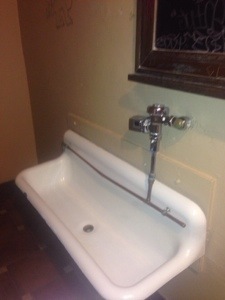 Anyplace with a trough always gets right to my heart! 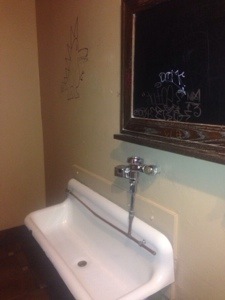 The floors are an odd good olde linoleum, and the walls are graffiti filled, and the bathroom has a strong odor that reminds you that you are indeed in a grunge, divey bathroom from the 1910’s. 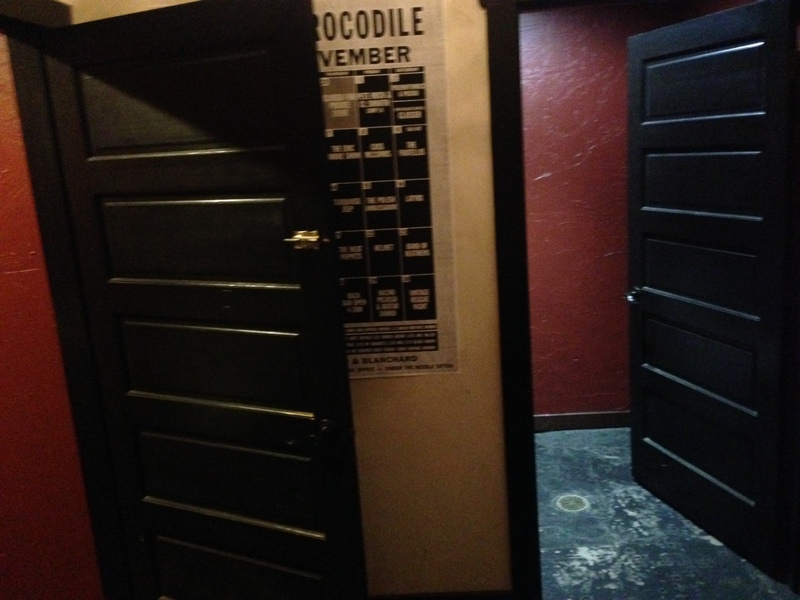 The Croc has earned its stars and has finally settled as a great slightly larger than intimate place to see a show! The renovations look, feel and sound great. The charm and nuances of the previously layout are missed, but these improvements turn it into a proper venue. The old meny was pretty great, and the Via Trib pizza is tasty! It’s easy to find conversation in the unisex bathroom waiting room. Last time I was there, I got to hear some good pickup lines by a dude that must have just read The Game. He was all over it. 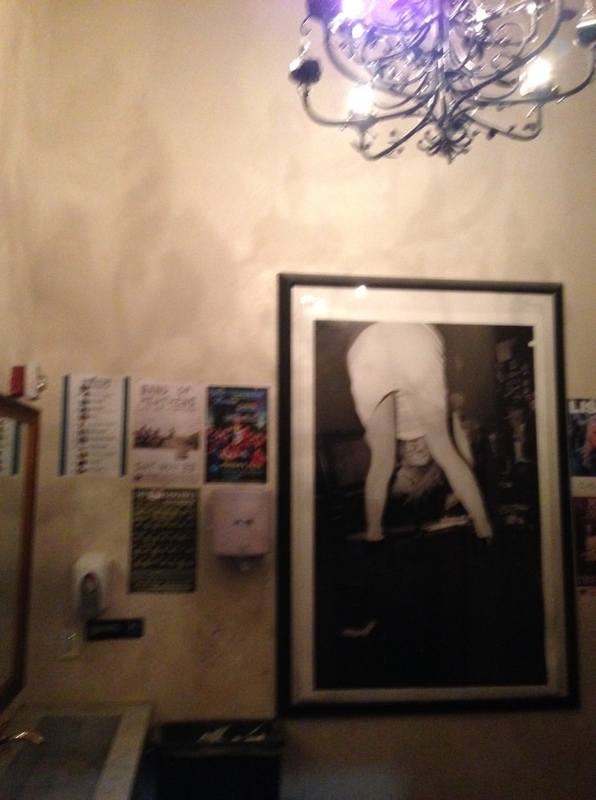 The Croc has Rock’n’Roll history, and the pictures of classic grunge and Seattle acts are all over the walls, with the Courtney Love rear end photo right by the nice marble trough style watering hole/hand washing sink! 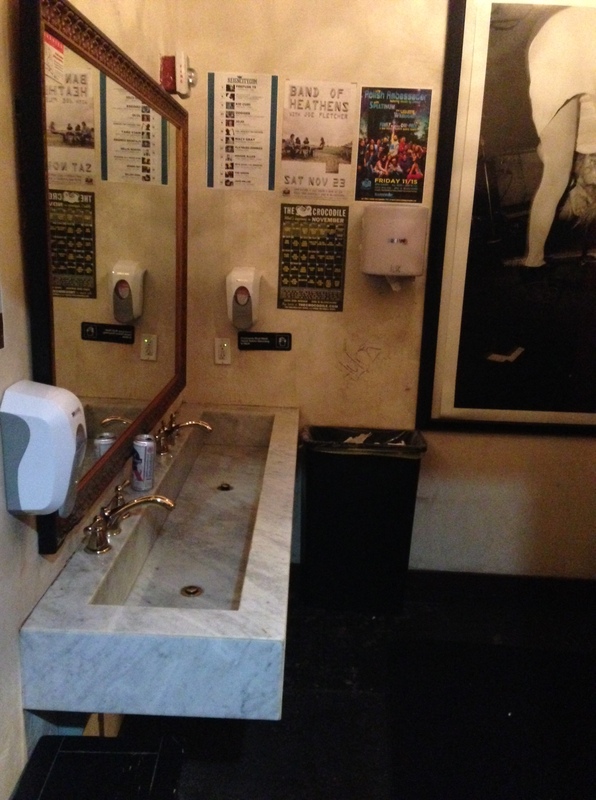 Toilets are seperate stalls and were well kept, sparkling clean and stocked!